Place dough on lightly floured surface; gently roll in flour to coat. Knead lightly 10 times, sprinkling with flour if dough is too sticky. Roll or pat 1/2 inch thick. Cut with floured 2-inch biscuit cutter. Place about 1 inch apart on ungreased cookie sheet. Bake 10 to 12 minutes or until golden brown. Immediately remove from cookie sheet to wire rack. Serve hot. For attractive biscuits and even baking, roll or pat the dough without a lot of handling to an even thickness. 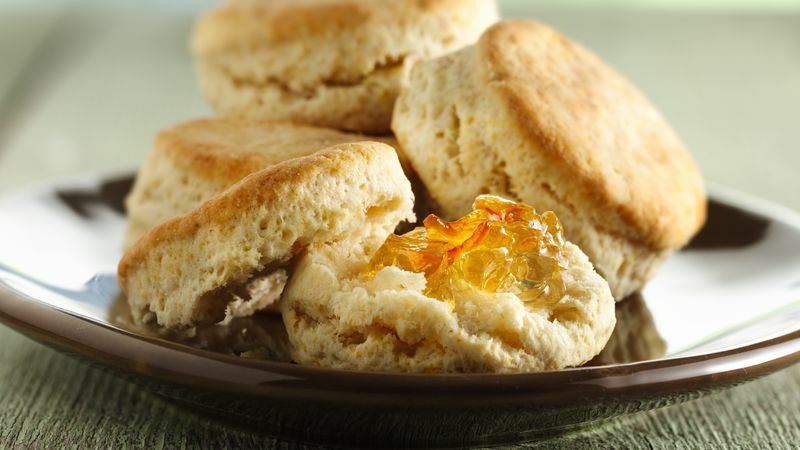 Too much handling with too much flour gives you biscuits that are tough and dry.